Welcome the the Bright Ideas Blog Hop!! Is your head spinning with great ideas? 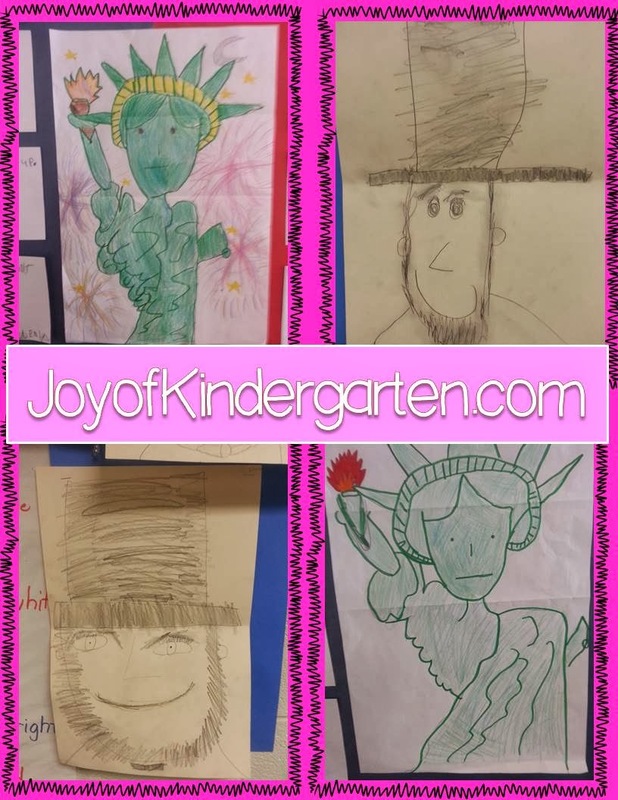 If you are new to my blog, I am a Kindergarten Intervention Specialist. I am a cross-categorical teacher, but I work primarily with students who have one or more learning disabilities in language arts, written expression or math. I also work with children who have social emotional and behavioral needs. My students are an amazing group of learners!! For the last four days we have been researching the Emperor Penguin. I am going to try to compile all of the links, videos, games, and common core activities we used for a future post because it was FANTASTIC! The kids had a blast and learned so much! We are currently writing our own E-book that is nearly complete. The kids REALLY enjoyed creating it. I loved watching them work cooperatively together through the process. I will share the "how to's" for that next week. 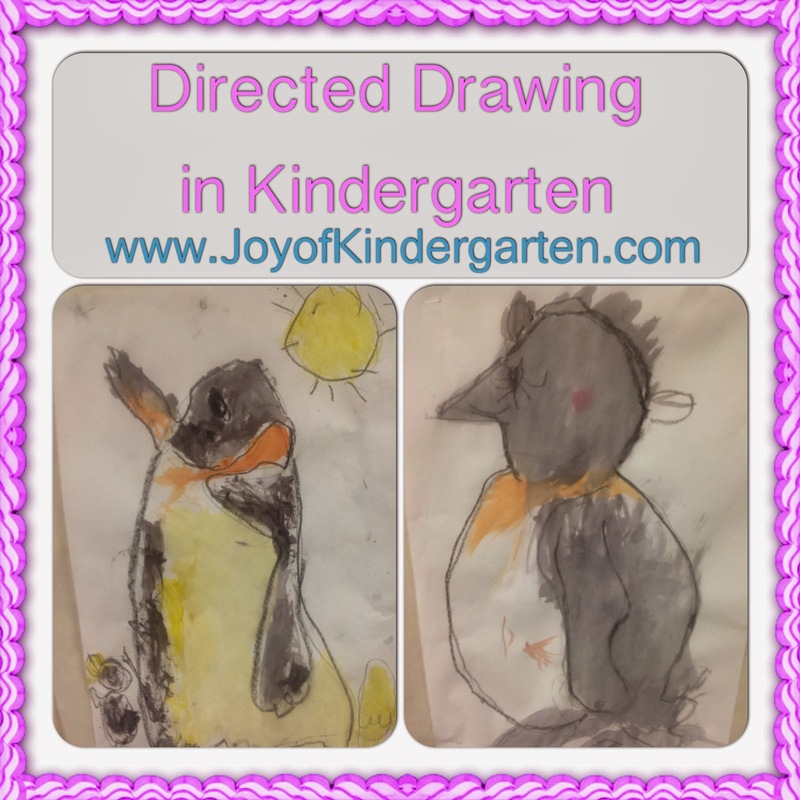 Step 1 For our emperor penguins I began by demonstrating the complete drawing and describing each line. Step 2 I drew the penguin a 2nd time with the group. The children drew lightly with a pencil so they could erase if needed. We completed each step of the penguin together as a large group. Step 3 The children traced their line drawings with a black crayon and added any other detail they wanted. 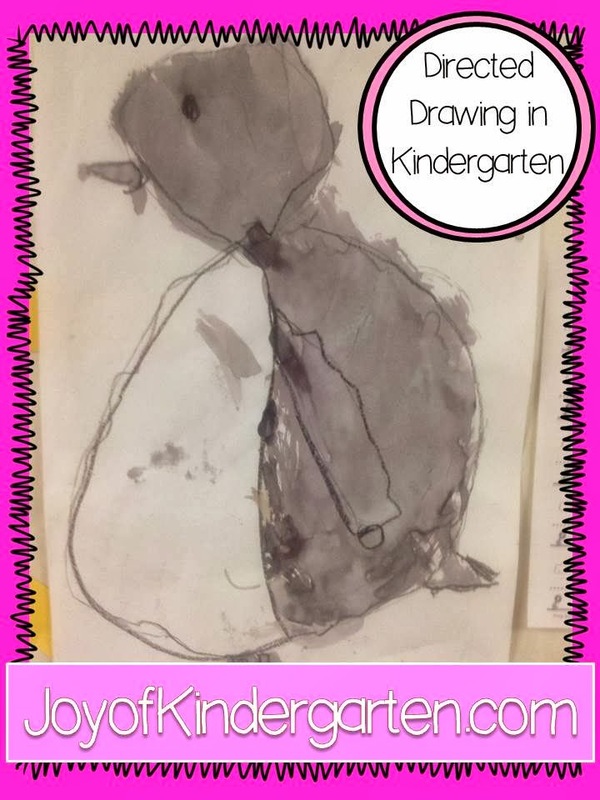 Some children drew baby penguins, others eggs etc. Step 4 The children painted their drawing with water color paints. The entire process with clean up took us 30 minutes and the final artwork was unique and amazing!! 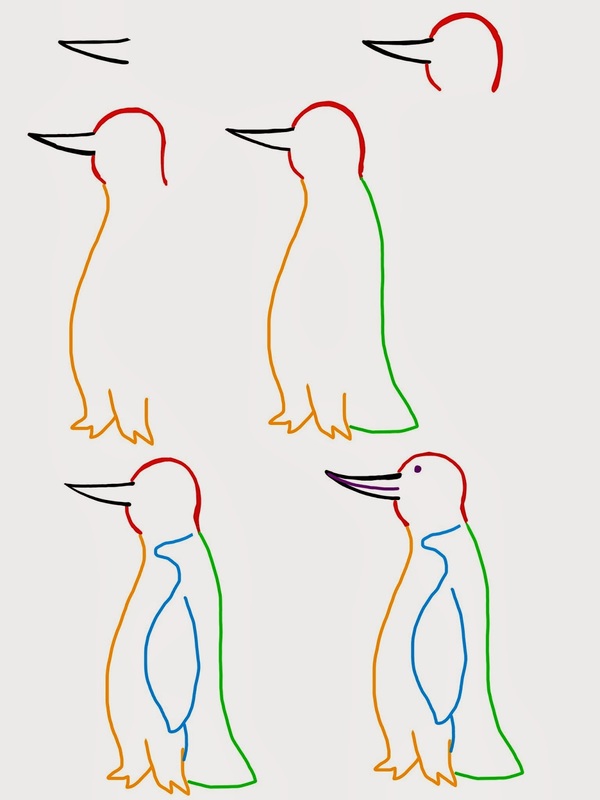 Below is a VERY rough draft I just drew up for the step by step to the penguin. And look what I found in the hallways at school...more unique directed drawing! FaBuLoUs!!! Thanks so much for stopping by. I hope this idea is useful in your classroom!! And now you are off to the amazing April from"A Modern Teacher" to hear some great tips about using Start Cards. I love this post! Kids love to be shown how. So many teachers expect kinders to have had a crayon in their hand before entering k, or to have had experience drawing. Sadly, it isn't the case most of the time! I think this is the way to help our kinders have confidence. You did a marvelous job! SO great! We are doing directed drawings right now and now I have another idea to add to our plans. Thank you! Great activity. I'm sure your students will have great memories of this. sometimes we forget how hard this can all be for a small child. Thanks for this insightful post.